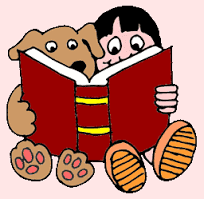 Do you have a shy or reluctant reader in the first – fifth grade? J.R., the Tail Waggin’ Tutor, is a Jack Russell Terrier and a certified therapy dog who loves children to read aloud to him in a quiet corner of the Swannanoa Library. Call the library at 828-250-6486 to sign up for a slot, or just stop by on Saturday, November 10, between 11 a.m. and noon. The Swannanoa Library is located at 101 West Charleston Avenue, in Grovemont. It will be puppy love at first sight!